Killer maple mustard cider vinaigrette! To balance out the heavier foods of fall, I’ve been making side salads like crazy! I’ve been craving fresh, crisp greens and salad cucumbers daily. 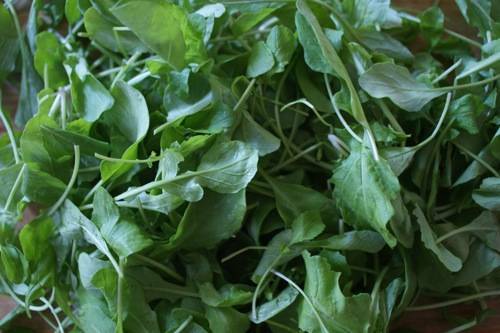 I found that the farm stand near my house still has greenhouse grown organic arugula which is deliciously peppery. SO GOOD! You’ve probably been told throughout your life to ‘eat your greens!’ but do you know why? Greens oxygenate the blood and increase circulation which helps to boost the immune system, detoxify the blood, refresh detoxification organs such as the kidney, liver and gall bladder, clear out excess mucous in the lungs, provide us with energy and mental clarity, and lift our spirits. There are many ways to get your greens, but fresh is best! We often get bored with salad after salad, so why not experiment with making your own customized salad dressings to add some extra delicious nourishment to your greens? Vinaigrettes are simple and easy to make at home. Try using different vinegars (balsamic, plum, cider, white wine, etc.) and different oils (olive, flax, coconut, sesame, etc.) to produce a variety of flavors. Add in whatever seasonings and spices you desire and voila! Incredible, fresh, house-made dressings! You can even print out some labels and give away bottles to guests as gifts! Combine garlic, mustard seeds, 1/4 cup of the maple syrup and a healthy splash of the cider vinegar in a blender or food processor. 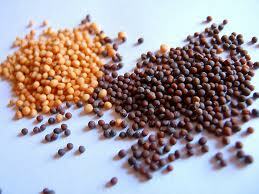 Pulse until most mustard seeds are cracked. Add in the rest of the vinegar and maple syrup, pulse until combined. Slowly add in the olive oil until everything is combined and opaque. Add more olive oil or maple syrup to taste.